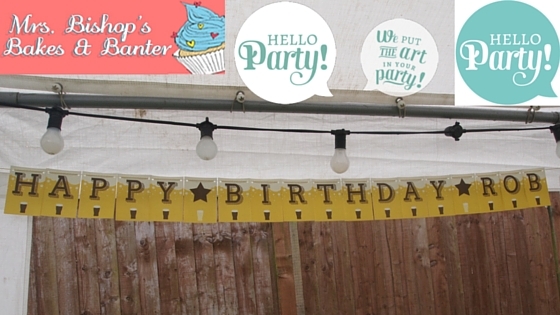 We love an excuse to party here in the Bishop household, so when fabulous personalised party decorators Hello Party contacted me to ask if I'd like to feature their totally awesome party-ware on my blog, how could I refuse? With two special birthdays on the horizon, I knew I had the perfect occasions to choose decorations for. 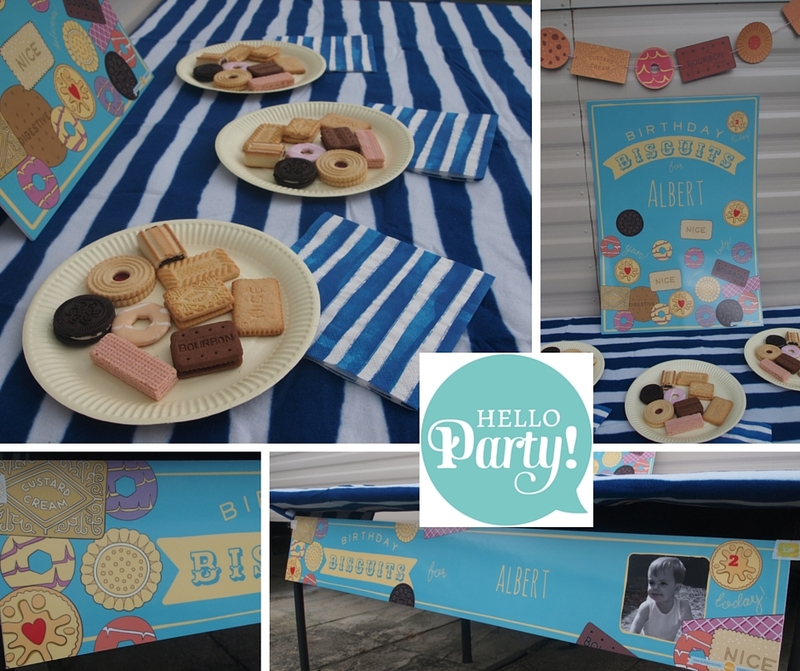 Hello Party specialise in personalised posters, banners and bunting: with a wide range of designs to choose from, and varying options for any budget, they've got your party decoration needs covered. I really enjoyed browsing their website, and soon fell in love with (you guessed it) their biscuit themed collection. 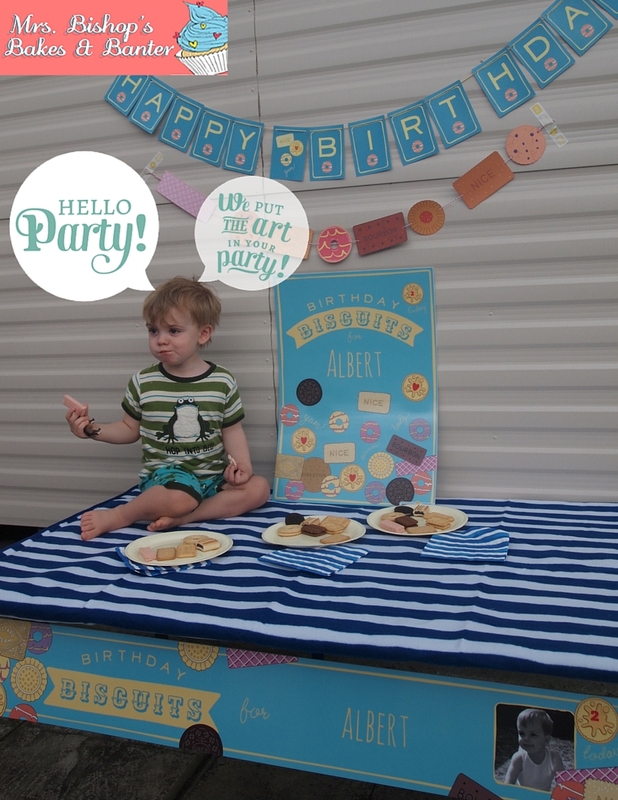 This set the wheels in motion for how we were going to celebrate Bert's second birthday (back at the end of August). We had already planned our weekend away: a stay in a caravan on the coast in Pagham and a visit Peppa Pig World (read all about our fabulous day with Peppa here)...but I wanted to host a special 'party tea' for Bert while we were away to give him an authentic birthday experience fresh from my own memories of childhood birthday teas. As soon as I saw the Hello Party biscuit collection I knew that hosting a biscuit tea party for Bert would be perfect - not only because he loves biscuits almost as much as his mummy, but because packets of biscuits would be easy to pack in the car and transport to the caravan. Perfect! We ordered 'HAPPY BIRTHDAY' biscuit bunting (I chose not to personalise this string as I knew I would want to reuse it time and again! 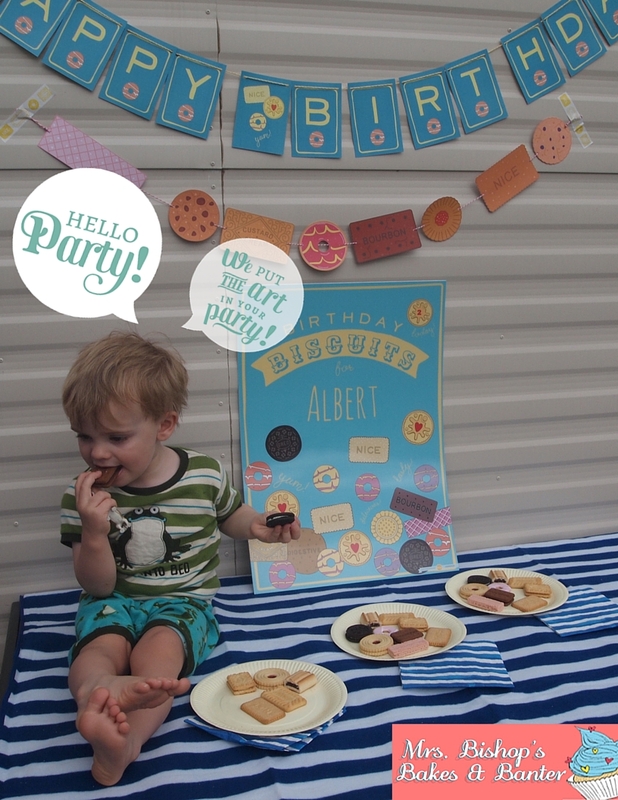 ), a large personalised biscuits poster, and a large biscuits birthday banner. I cannot tell you how thrilled I was with the items when they arrived - I couldn't wait to set up the biscuit tea party and make fabulous biscuity memories with my boy! Is there anything cuter than a sleepy, pyjama-clad boy with bed-hair? Bert sat atop the table proudly - excited by the prospect of being allowed to inhale multiple biscuits before 10am! Well...you're only two once, right? Custard creams, pink wafers, party rings, bourbons, Oreos, NICE, fig rolls, jammy rings, malted milk AND shortcakes. Wow, that's a lot of biscuits! A biscuit tea party fit for a king! 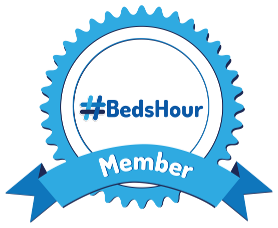 Bert loved seeing his photograph on the personalised banner and the colours and illustrations were so bright and eye catching that he kept looking up at them and shouting "Bert" and "biscuit". I'm allowed biscuits for breakfast? Really? I'm pretty sure the other holiday makers on the campsite thought we were a bit barmy, but it was all good fun, and a brilliant way to start off Bert's special day. The poster, banners and bunting really helped to set the scene beautifully and made the whole experience extra-special. One in each hand, good boy Bert! I was truly blown away by the quality of the partyware from Hello Party, and would recommend them time and again to anyone looking for high-end, fantastic quality party decor. I'll let the pictures speak for themselves, as it is obvious the quality of the products just by looking at them. I opted to have our biscuit banner and poster printed on thick and super strong board, with a gloss finish and our bunting printed on paper, but Hello Party have multiple options at checkout and depending on your budget you can have your items printed on either 170gsm good quality paper, on 3mm foamex board (pictured) or on 'cling' a removable, multi-positionable digital printing film (wall sticker). 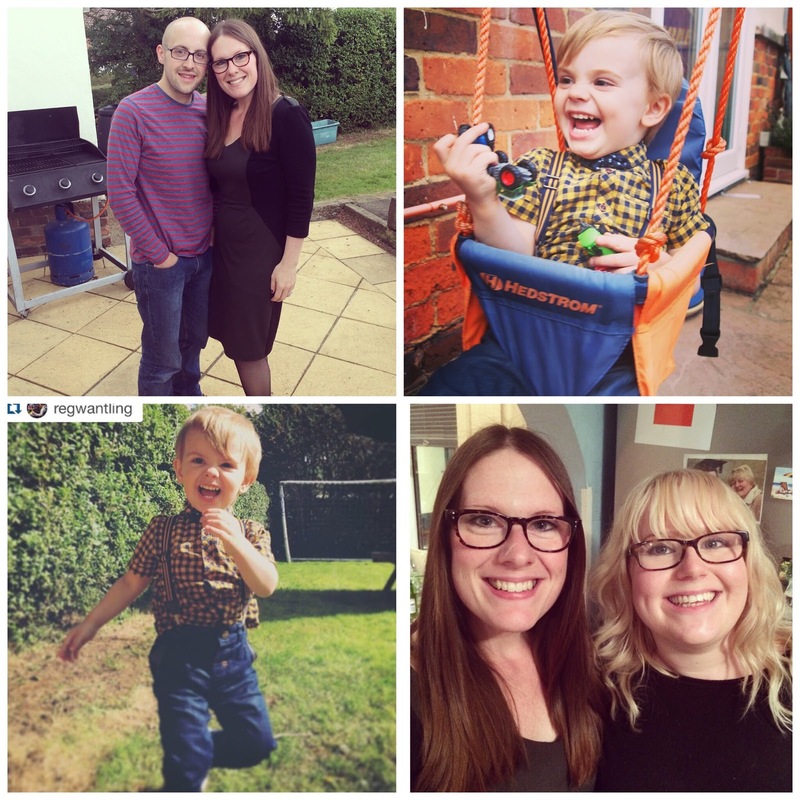 Personalised with a photo of my cheeky chap! I won't admit just how many biscuits we munched through during Bert's birthday weekend, but needless to say we were all pretty sick of the sight of them by the time Monday came around! Ha. Naturally, after a couple of days my taste for them returned - you can't have too much of a good thing, after all. 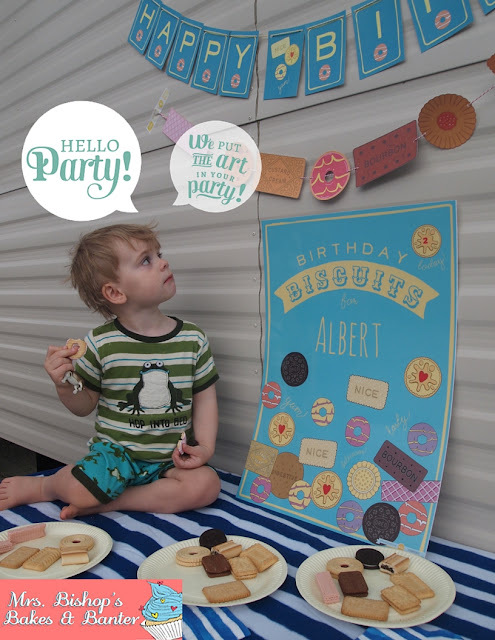 Hello Party also cleverly offer a 'keepsake' option whereby they create smaller prints of your items on either paper or board with fold out easel to keep long after your party is over. These options come at a small extra cost, just work through the 'keepsake' option at checkout. 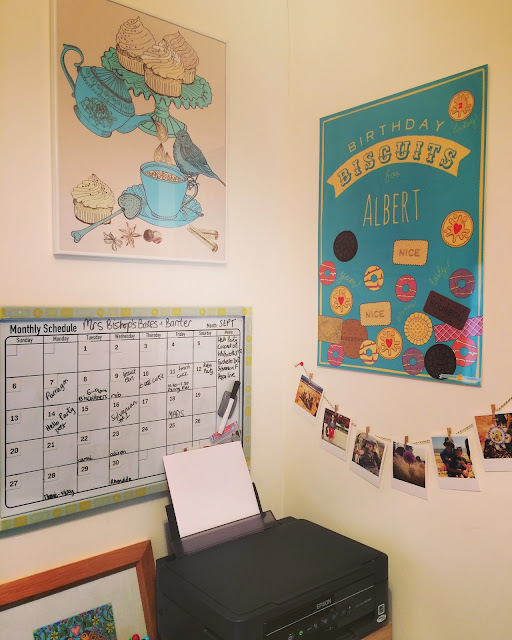 Hello Party biscuit poster in it's forever home. Again we opted for one poster, one banner and one string of bunting - this time all printed on paper. Considering the paper option is their cheapest printing option, I couldn't fault the quality of them, even in comparison to Bert's biscuit collection printed on board, they were still fantastic - the paper (more like card) is thick, strong and the print quality is vibrant and each item had a super-professional finish. In fact, the paper banner and poster were such good quality that blu-tack wouldn't keep them up and my stepdad ended up screwing them to the fence using his drill! Haha! They definitely weren't going to fall down after that! I would advise to get your rolled paper posters/banners out of the tube and lie them flat with a weight on them for a day or so before your party (pop them flat under a rug or something) to help flatten them out and make them easier to stick up using blu-tack, or get your drill out like us, ha! Drilling up his own birthday banner! We attached the banner to the first panel of garden fence as you exit via the patio doors, it looked really fab and was a great welcome to our guests as they arrived. This super-sized banner was priced at £16.49. 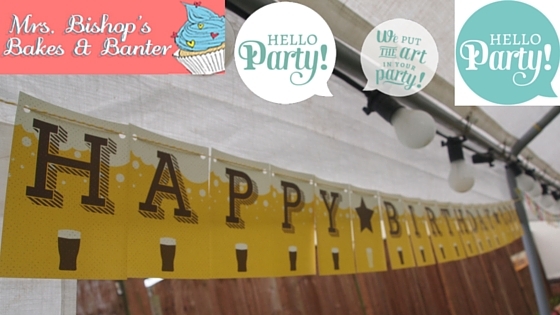 The large beer poster was stylish but fun, designed to look like a massive pint of beer and personalised with my stepdad's name and age, it was the perfect way to decorate the garden quickly. This A1 sized poster was priced at £27.49. 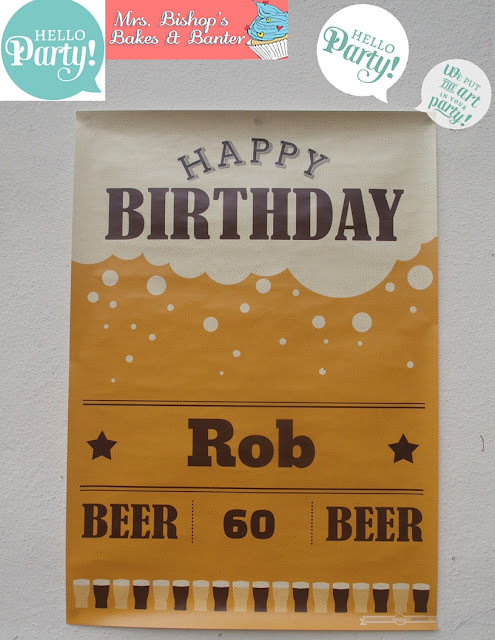 The final item ordered was 'HAPPY BIRTHDAY ROB' beer-themed bunting which was priced at £27. We hung the bunting in the marquee and it looked just brilliant among the lights - the final pice of the trio from Hello Party, this bunting really tied all the decorations together beautifully. The party was fairly low-key and was more about getting the family together to celebrate Rob's 60th year than going all-out with an all-singing, all-dancing event - so these stylish but understated pieces from Hello Party were the perfect addition to our day. We threw beers into an ice filled tank, chucked some burgers and sausages onto the BBQ and lit the candles on Rob's (homemade by me) Black Forest inspired birthday cake...everyone enjoyed catching up over good food and drink, and the decorations really were the icing on the cake (so to speak). Look at that smile!! My stepdad Rob (left) with his Uncle Bob (right) at the party - I think they were enjoying themselves! My homemade black forest inspired birthday cake for my Stepdad's 60th. My favourite pictures from the party - a great time was had by all! If you'd like to be in with a chance of winning this super party package then enter via the Gleam app below! Disclaimer: I was sent six personalised party decorations for the purpose of this review. All words, opinions and images are my own. I like the ice princess party! I love the Autumn Leaves range - very pretty! I like the space and the dinosaur themes for boys ( I wish they have superheroes through...). it would have to be the "fashion star" range. The Birthday BFF's would be perfect for my 10 years olds party in December! in LOVE with the Birthday Biscuits range!!! My 2 year old would love a biscuits birthday!!! wow!! Love the Under The Sea collection - perfect for a Mermaids vs Pirates theme we were thinking of for our daughter's next birthday! I love the forest collection, adorable! My favourite collection is the Ice Princess Party! It would be so perfect for my niece's birthday in December! Ice Princess party would be perfect for my two little girls with Christmas birthdays. 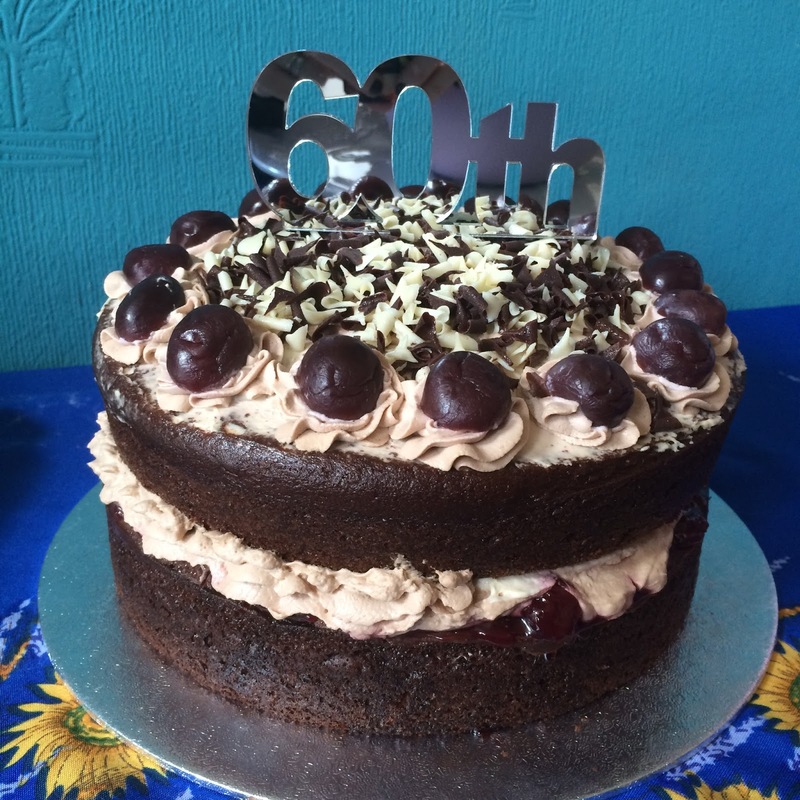 You've got plenty of choice for the 'older' birthday and my mum-in-law will be 90 next year, just like the queen! My daughter is helping me choose and she loves the "our little princess" party theme. The dinosaur theme is fab! I'm a Friend of Sylvanian Families!